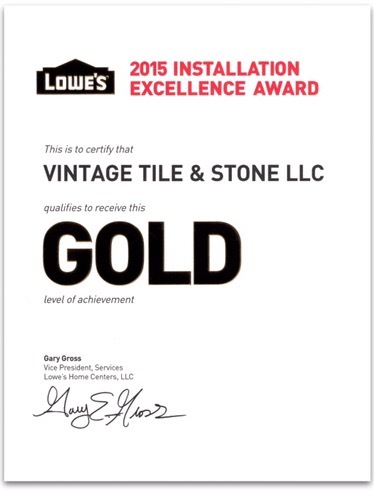 Today we received our official certificate awarding Vintage Tile & Stone LLC, GOLD level of achievement. 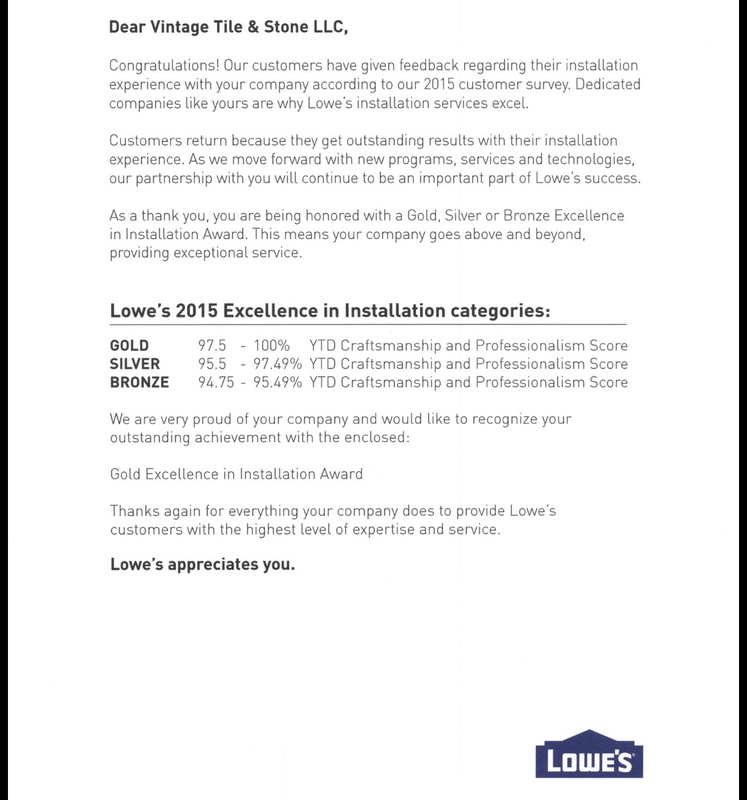 Thanks to our customers for providing Lowe’s with feedback regarding their installation experience with our company. We take pride in our craftsmanship and professionalism. Our heartfelt thanks to Lowe’s for allowing us the chance to continue to serve the Rio Grade Valley and Eagle Pass.